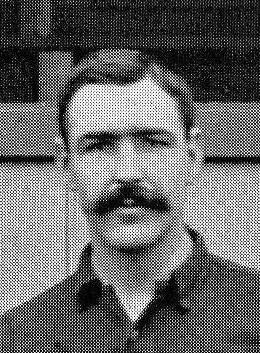 21 Mar 1896: Caesar Jenkyns became the first player at the club to play international football, when he appeared for Wales v Scotland. Jenkyns moved to Woolwich Arsenal in April 1895, after being released from Small Heath for assaulting two spectators. Ironically he came to Woolwich just after the club’s ground ban had been lifted. He was immediately made captain and playing during the 1895-96 season made his mark in Arsenal history by becoming the club’s first ever international player, after winning a cap for Wales against Scotland on 21st March 1896. He eventually won 8 caps during his career. Playing at centre-half, Jenkyns scored six times in 27 league matches for Arsenal and was one of Woolwich’s star players. His appearance and style of play have been likened to a “Victorian Souness”. Whilst at Small Heath he had been sent off four times in an era when a dismissal was incredibly rare. It took Caesar only 9 games at Arsenal before he was once again ordered from the field. In the summer of 1896 he moved to Newton Heath. After one season in Manchester he spent five years at Walsall before playing for Coventryand then drifting into amateur football with Unity Gas and Saltney Wednesday. 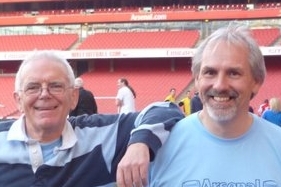 Please see http://www.historicalkits.co.uk/ for the confirmation in ‘1 March notes’ of our work in getting the club’s 1895-96 kit being denoted as red shirts on this important site and not the incorrect striped aberration it was assumed in the club’s Official Arsenal History. Might I add something that has just struck me. The manager of Arsenal at the moment of getting our first international was… The Committee. When I started looking at the club manager by manager I ignored this period when a committee acted as manager – but more and more I am finding that they actually did a lot. The Committee has its own page now, and links to many of the articles that we have published on their reign. Where would it possible get photo of Caeser Jenkyns? In short he is my Great Great Grandfather my Grandmothers Grandfather her mother was his daughter. We recentley had death in the family my Grans brother who also played amateur football and ran for Birchfeild Harriers he had couple Caesars international caps which we are currently trying re-locate.Look forward to hearing from you. There are quite a few pictures of Caesar on the internet. This link is a search of all of those that Google can find.